One of the beautiful things about being in Seattle during the winter is realizing that you are surrounded by snow-capped mountains in every direction and that a winter wonderland is yours to be had for as little as a 45-minute drive. If you’re from out of town, however, it can be a daunting task to plan for it. What should we do? Where can we go? Can we leave our car there? Do we need a special permit for that? Then there are the questions of what to bring, what to wear, whether the terrain is going to be too advanced or not advanced enough for your skill level. That’s where EverGreen Escapes comes in. 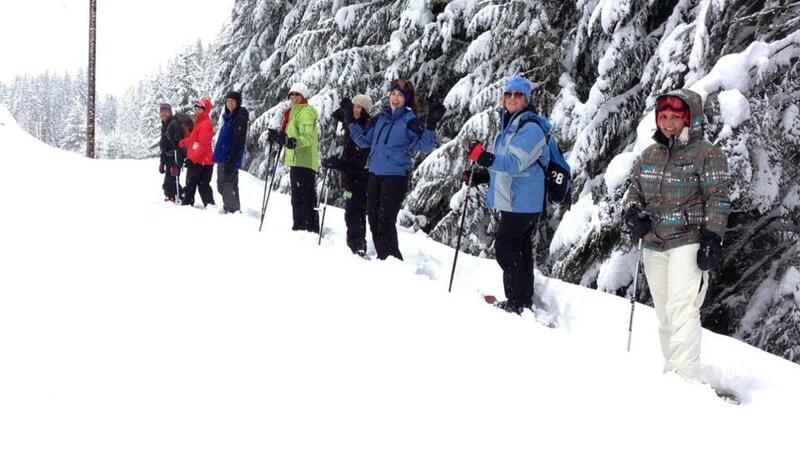 EverGreen Escapes is a Northwest tour company specializing in adventure and epicurean travel. One of their regular tours that has recently caught my attention is their Activino! Paddle and Wine tour: a full day of kayaking topped off with wine? Yes please! 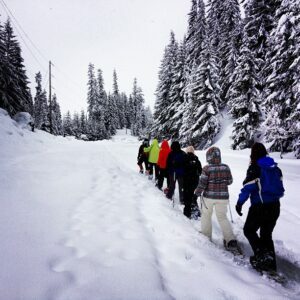 It has been almost a year since my first experience with EverGreen Escapes: a half-day guided snowshoeing trip to Snoqualmie Pass. Our transportation met us at the doorstep of our office building in the heart of downtown Seattle. As we piled into the spacious Mercedes van, adorned with the snow pants, hats and gloves we were advised to bring the night before, we were greeted by a smile and a handshake from Dan, our guide for the day. In just a few moments we were leaving our urban jungle behind in search of a snowy adventure in the mountains. We soon discovered that Dan had thought of everything for our excursion. Forgot your gloves or hat? He had extra in the van. Think you’ll need water or a snack along the way? He had a ready supply for you to stash away in your pockets. When we pulled into the snow park, Dan displayed the necessary parking permits on the rearview mirror and started unloading the gear. In our case, our “gear” started with a box of the biggest, tastiest scones I have ever had, baked that morning by Two Tartes Café & Catering. Seriously delicious. Our gear also consisted of two tubs of MSR snowshoes. Dan told us that MSR snowshoes are made by Cascade Designs, a Seattle-based outdoor equipment company. One of the benefits of using gear from a Seattle-based company in the Seattle region is that this gear was made with our specific terrain in mind. Dan taught us how the crampons on the along the bottom and on the toe of the snowshoe helped to give us traction on packed snow and climb or descend steep slopes. We set off along well-used cross country ski trails but Dan soon veered off the beaten track and ducked into the woods to show us how the snowshoes were meant to be used. For the next four hours, we weaved in and out among the trees, floating along the surface of 12-foot drifts and taking turns leading in fresh, unpacked snow. Along the way, we stopped to investigate fox prints and take in panoramic views of Keechelus Lake. We returned back to the van, tired and happy, where Dan had one more surprise in store for us: hot cocoa, coffee or tea to ensure we enjoyed a warm and comfortable ride back to the city. We had been away for only five hours, returning to Seattle with plenty of time left in the day for other activities. Yet in those five hours, we’d been able to truly get away, to be active, to be in nature, and to be with each other. EverGreen Escapes made it a special experience for all of us. I can’t wait to experience another adventure with them. Perhaps next time it will involve wine. 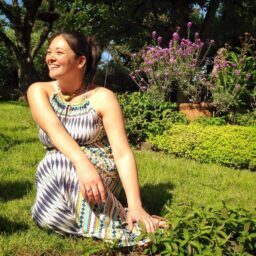 Kristin Gillespie is Director, Content Strategy at Visit Seattle. An avid traveler and Seattle transplant of over a decade, Kristin loves to explore the Northwest and is rarely found without a camera in hand - although these days it's typically pointing at her charming baby girl.